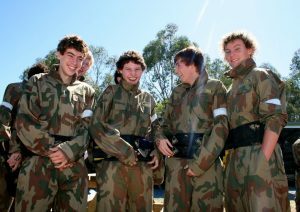 News Limited recently held their annual Corporate Team Building Day at Delta Force Paintball in Dingley. The day was a huge success, which involved a series of team building exercises played out on Delta Force’s impressive movie-set scenarios. The Victorian Manager for Men’s Specialist Magazines commented on the experience: “A really enjoyable day and great for our team building and client relationship development, the playing field was first rate”. Delta Force frequently organises corporate days out, which can be tailored to meet your company’s goals and objectives. 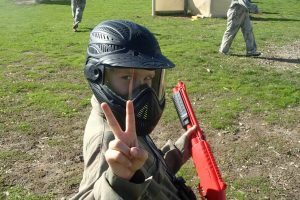 Paintball is an excellent way to motivate and rejuvenate your staff, and is fast becoming the sport of choice for corporate events. Delta Force has an impeccable safety record and quality game zones to match, ensuring your staff and clients are in safe hands. To find out more information about Delta Force, click here to visit their website.